"Ras" translates as the "Sublime Essence of God's Name." On this release, you can feel that sublime essence in every note. Snatam's voice is open and filled with such a deep and abiding heart-centred longing for the divine, it is palpable. Snatam Kaur's voice is artfully blended with Manose's flute, Benji Wertheimer's esraj, Thomas Barquee's keyboard, Simone Selle's guitar and Sat Nam Singh Ramgotra's tabla. Produced and arranged by Thomas Barquee, this album marks their 10th year of musical collaboration in Snatam's recordings and is truly a tribute to the journey that their music has taken over this time. 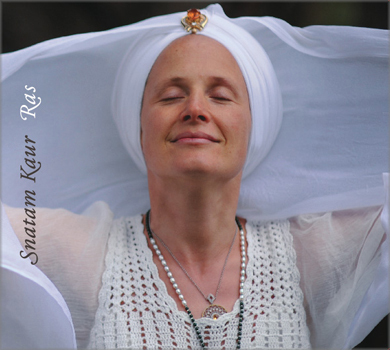 Snatam Kaur's music travels the globe, and with this album it is clear that it will continue to reach further corners as new listeners hear and fall in love with the sweet nectar of her voice.